With 15 years experience in real estate in both sales and property management, working for large organisations in all areas of South East Queensland I pride myself on providing professional service to my clients. The reason that CKS Real Estate was started 4 years ago is that I felt I could combine my industry knowledge and strong belief in exceptional customer service to provide the best value and experience to all parties involved. So whether you are selling or renting out your property or whether you are buying or moving into a rental property, see how professional & easy it is dealing with Sal & CKS Real Estate. We had been trying with local agents for four years in a falling market before listing with you in our urgent need to be close to our daughter in Brisbane who is undergoing medical treatment and you were able to present us with the only offer we had received and accepted. The service I received was every thing you could ask for, I was kept informed through the whole process of the sale. After having my property on the market for around 12 months and with 3 different local agents in that time. It was only a matter of weeks of listing with you and you rang me to let me know you had a buyer, and it all went ahead from there and became a success. 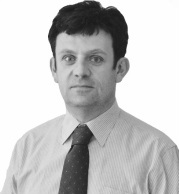 Sal has over 15 years experience in residential, commercial and industrial property development and sales. He combines his knowledge of the Brisbane and international property markets with dedicated customer service to deliver quality outcomes for his clients.